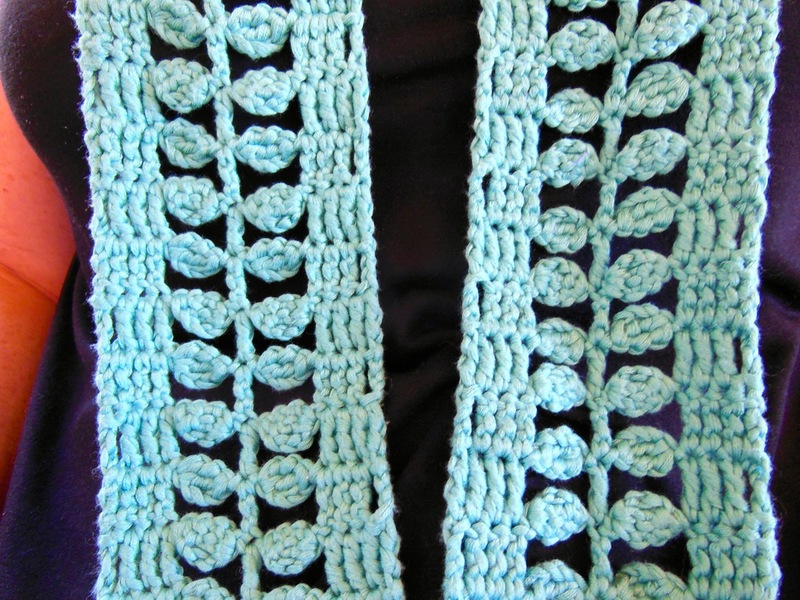 Lyndel’s crocheted scarf – a gorgeous pattern available on Ravelry. A hot day in the Huon, made even hotter by the hubble and bubble in the community hall by about 50 crafters getting on with their business. Sewing machines were producing Chenille under the expert guidance of Pauline, Jacqui was making interesting things with her machine, Leslie was felting a hat and giving advice to potential felters, others were spinning wheels, clicking knitting sticks, stitching quilts or wielding crochet hooks. A couple dropped in to admire the hall and think about having their wedding ceremony there, how gorgeous. The Buy or Barter table was full of the usual variety of things, from potatoes to wool to fabric to eggs and more. Tony plied us again with great coffee, and thank you to everyone that bought along some nibbles – just fabulous. The Chocolate Wheel was fun, a Nicholl’s Meat Tray and a Tin of Roses Chocolates were won! Lyndel was wearing a delightful crocheted scarf, the pattern is – at the moment – free download on Ravelry. Quite a few of us are on Ravelry, look for the group Spin Weave and Dye in Tasmania. Pauline – the chenille ideas are fabulous, thank you so much for guiding us in that. Pauline leads us thru making woolly chenille. Pauline’s fully reversible chenille jacket. Valeri sews the two pieces together in straight lines ready to cut open the reverse side between the lines. Lesley crafted a felted hat – here are the pics, start to finish. Note, fully reversible. Step 2 of Lesley’s felted hat. Step 3 of Lesley’s felted hat. Step 4 of Lesley’s felted hat. Step 5 of Lesley’s felted hat. Step 6 of Lesley’s felted hat. Step 7 of Lesley’s felted hat. Step 8 of Lesley’s felted hat. Lesley’s felted hat, other side. Smock by Anne. Beautifully handcrafted Warwickshire 13th Century design. Anna showed her finished Smock. A smock-frock, or smock, is an outer garment traditionally worn by rural workers, especially ploughmen, shepherds and wagoners. They were most commonly worn in the midland and southern regions of England and parts of Wales. The purpose of the smock was to protect the wearer from the weather and their clothes from getting dirty. One type of smock is the Reversible or round smocks – both sides of the smock are identical, so there is no obvious front and back. The advantage of this is that the smock could be turned around if the front became too dirty. Medieval illuminated manuscripts, such as the Luttrell Psalter, show agricultural labourers working in plain, loose garments similar in shape to the 18th and 19th century smocks that have survived today. The Luttler Psalter was written and illustrated c 1320 – 1340. By the early 18th century the smocks we are familiar with were being worn, usually by men, and not just for work – very ornate smocks were worn to hiring fairs, for Sunday best or for getting married in. 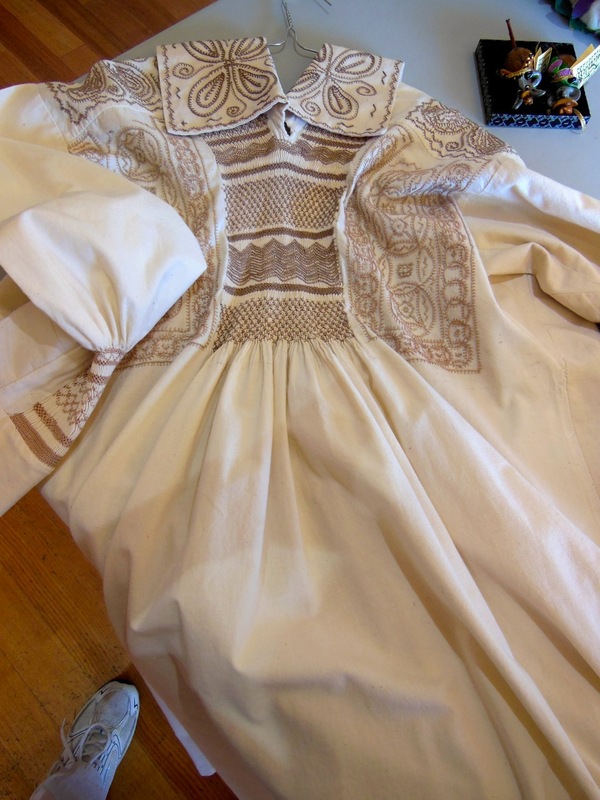 It is likely plainer smocks were worn for every day work, but it is the ornate ‘best’ smocks which have survived to be held in museum and private collections. (Anna’s is a copy of one of these). Smocks were traditionally made from unbleached cotton and linen. Most smocks are cream, beige, stone, or buff, but some regions had their own colours, such as blue (Newark, Nottinghamshire) or olive green (East Anglia). Smocks were usually made by women. The fabric was cut in rectangles to avoid wastage. The ‘smocking’ is the gathering of the fabric, which is then stitched in place. This gave the garment flexibility and strength where it was most needed – the chest, shoulders and wrists. Some smocks were oiled to make them waterproof and most have a large collar for extra protection from the weather. It is believed the embroidered designs on a smock depict the occupation of the wearer and helped advertise their trade at hiring fairs, for example shepherds’ smocks may be decorated with sheep or crooks, wagoners’ with cart wheels or ploughmen’s with furrows. These designs could well have been passed down the family and the stitching was usually done in a matching thread, although occasionally a contrasting coloured thread would be used. A great day with great crafters, how many different activities can we fit into one gathering!? Tony plied us with fabulous coffee, delivered with flair by Irene, we love you guys! Brian came along and raffled a Nicholl’s Meat Tray, spinning that chocolate wheel with just the right twist – Alanna was very happy with her winning ticket. As a little fundraiser for the hall it was much appreciated, thank you everyone for getting into the spirit of things. The Buy or Barter table had all manner of things – cards, jewellery, books, plants, eggs (quack quacks and cockle a’doodle doos), alpaca fleece, yarns, buttons and bows! Irene’s notions were out on display and certainly gave the hall a very cheer look and feel. Valeri was weaving a bag pattern from her Haruko Matsunaga book, as was Josiane. To see more of Haruko’s work, go here. Wilma bought along her rigid heddle loom to sell, and………changed her mind! She is off home to weave bags. Wilma makes the most of everything she weaves and was wearing a gorgeous jacket showing just that. Josiane talked folk thru a Shropshire Button lesson – it was a lot of fun with great results. See this website for an online tutorial, kudos to Kate Davies Designs and to Josiane for mastering the technique and sharing it with us. There was a lot more going on, hopefully most of it captured in the photos. In November Pauline will run a small Marbling with Shaving Foam session – it will cost $5 to join in as there are some consumables to be purchased. Bring small items like socks, small squares of silk or A4 sheets of paper if you want to join in. Cathy will have small bits of silk for sale on the day, and it wouldn’t hurt to register your interest with Cathy. 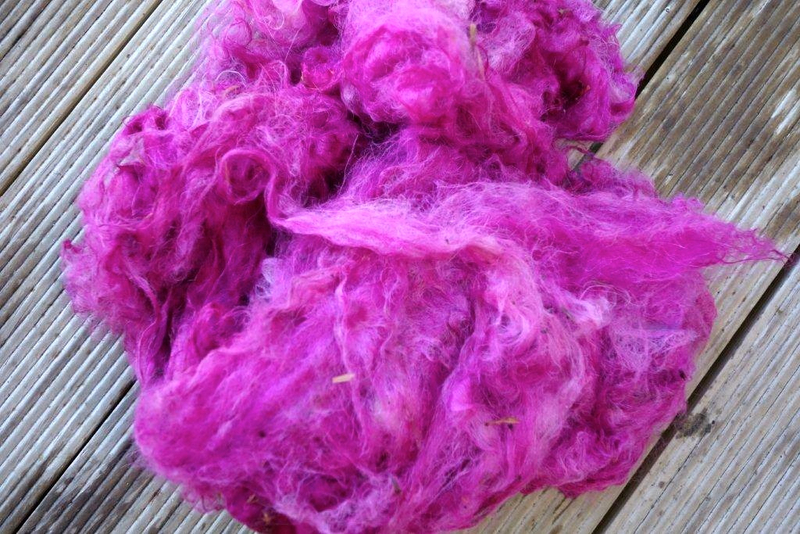 If you are into, or want to be into, Felting, the Guild is running a new Felting group on 4th Tuesday of each month at the Battery Point rooms, ask more of Cathy. Hi gorgeous, what a special lady. Valeri’s circle weaving – side one of a bag-to-be. Crocheted sock – have to try this once Michelle leads us through a session on ‘how to do the heel’. Josiane is going to weave a bag! Shropshire buttons session – quick and easy. Valeri is weaving a bag. Skeins of wool – by Nikki. Dorothy’s completed stitched piece for her granddaughter. We have watched this work evolve, it’s lovely. Shropshire button tops off a beanie. Jude’s wood craft – bone crochet hooks, native cherry wood buttons and huon pine buttons – great work. Shropshire buttons session – earnestly taking notes and listening. Wilma’s weaving on her now ‘not for sale’ loom. Wilma’s jacket – great weaving combinations. Valeri’s woven bag just off the loom and ready for sewing bottom and side seams. Roll up Roll up – get your meat tray raffle tickets here! Fish beanie – must be Nikki’s endeavours! Shropshire buttons session – and the little Shropshires get to meet each other. Shropshire buttons session – showing the cardboard resist that is removed. 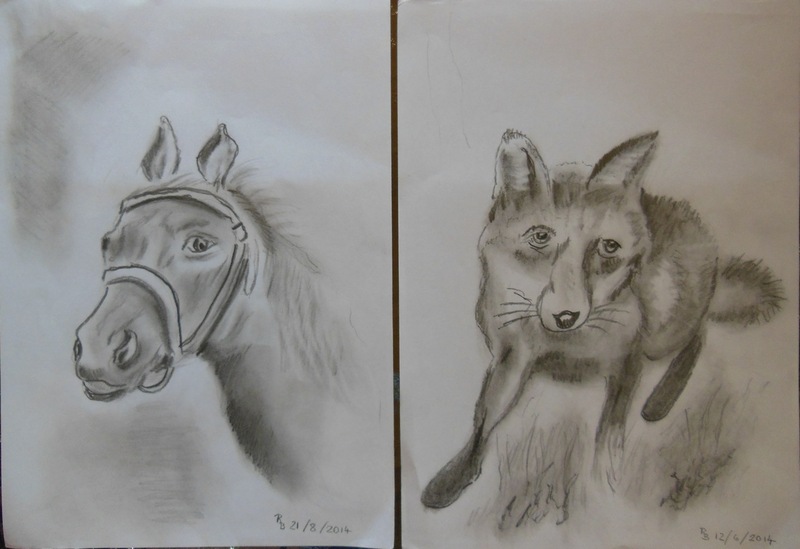 Beautiful pencil drawings, by Rolf. Spring is in the air and we certainly sprung into Crafters – all 48 of us! Big hugs and thanks to Michelle, Tony and Irene who had the hall all set up and warm and toasty long before I arrived – and with the continued aroma of good coffee and savoury muffins and great company it felt like home – all day long. Shirley conducted a Jam Judging Tutorial with a professional set-up, giving us hints, ideas and constructive criticism – thank you Shirley, now to see those award-winning jam entries roll into the Hobart and Huon shows. Remember – fill your jars to just below the lid, use straight-sided jars, no bubbles, keep the seal to prevent fungus & mould, submit fresh jams, make sure your jam reflects the description you give it, put the label straight and very low down. Michelle volunteered she sometimes boils down apples and uses the liquor as a setting agent for jam. Michelle prepared and baked savoury muffins – I didn’t hear all the advice but I did see folk taking earnest notes. I do remember – don’t use paper patty pans, rest your muffins before releasing from the tray, place onto tea-towel over a rack after cooking, and above all, BE QUICK if you want to eat one! Maree bought Dash and Speckle – 2 lovely fibre bunnies. Dear Speckle is only 9 weeks old, an Angora. Dear Dash is a Jersey wooley, or mini-angora. Both were extremely cute and we really do thank you heaps Maree, it is a big ask to truck them across country. We look forward to more bunny goodness on the Buy and Barter Table. Valeri and Judy did some twisting! Valeri showed how to twist a fringe on your completed piece using the Ashford Fringe Twirler and also the Girl’s Hair Toy. Judy then showed some of us a technique used to twist leaves – such as those on the Day Lilly and the Gladioli. Useful for baskets, trims etc. Dry your leaves first, then reconstitute in water for pliability when you twist them. Valeri had 3-D printed hard plastic bobbins for her Majacraft wheel. These are available for different wheels, from Akerworks. Don’t be put off by the high freight cost, email Adan direct and ask him if he can use an alternative. Irene shared with me a tonic good for several ailments as well as general well-being. Boil/steep the leaves of Locquat, Mulberry, Olive, Persimmon and Grape in water and then strain and save the resulting tea. If you wish, add some cinnamon bark for extra anti-oxidants. The ‘tea’ smelt lovely and it is something I must try. The Buy or Barter table had eggy goodness, plants, jewellery, rhubarb, fringe twirlers and more, complemented by Miss Irene’s Notions! Big congratulations to Wilma for her swimming achievements recently. And a reminder from Wilma, the ArtTrail Exhibition 2014 is on 20 -21 September at the Kettering Hall and studios throughout the Channel. See the website for information. Let’s get behind these great artists and make a day of it on Saturday 20th Sep or Sunday 21 Sep. Enjoy the pics, and thanks, each of you, for being a part of Judbury Crafters. Gorgeous wooden brooch worn by Wilma. It’s a BookHog – easy way to keep your notes handy. Shirley leads us through how a jam is judged. Colour, taste, texture, fill level, label position, label description, mould. All is taken into account. Michelle anxiously waits on the verdict! Acrylic paint pictures, by Rolf. Great gradient yarn scarf, by Robyn. A bundle of scarves, by Robyn. Pauline studies an instruction to master the double crochet cast-on. A case of children teach thy parent! Neckwear, by Nikki. Modelled by Helen. Michelle whips up a batch of savoury muffins. Savoury muffins gracing the oven. Notes were taken – are we about to see a flood of muffins entered in the next Huon show! Muffins straight out of the overn. Stand the muffins for a few minutes before gently releasing to the cooling rack. Then be quick to taste that circle of deliciousness. 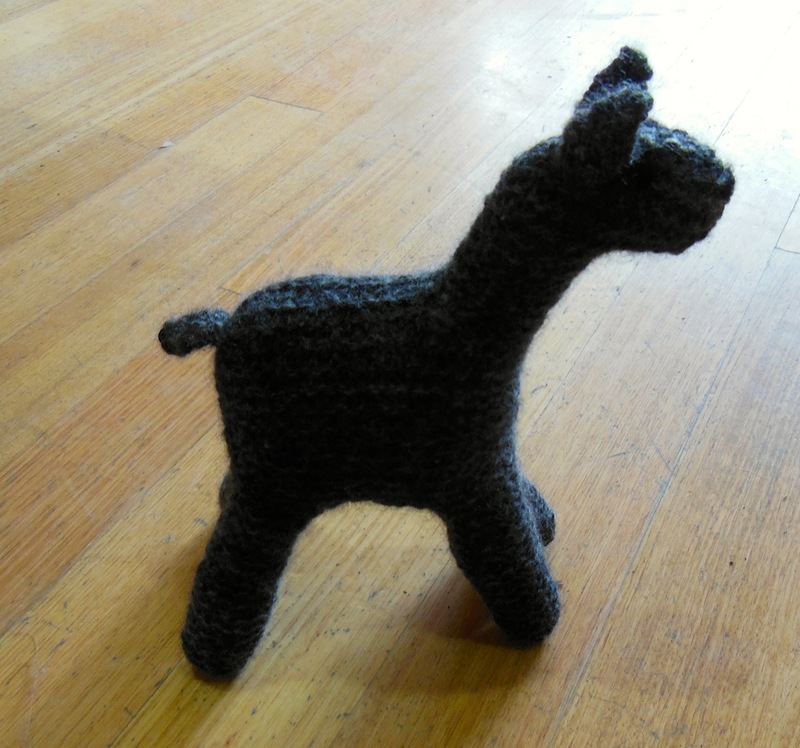 An alpaca towel – embroidered by Michelle. Huggable loveable. Fish beanie by Nikki – a brilliant way to use left over yarns. Speckle – thank you Maree for bringing Speckle across the river to see us. Dash – an adorable Jersey woolly fibre bunny. Luscious bunny fibre batts by Maree. Shropshire buttons by Josiane. Great alternative to pompoms for finishing a beanie, or embellishing a garment. Scarf/Shawl/Head covering – take your pic – by Irene. Shawl – dog fibre – and samples plied with different fibres. A work in progress, see last month for the beginning of this treasure. Beautiful card by Cathy. Alum washed paper overlaid with leaves then steamed. Shibori stitched, Indigo dyed shirt by Cathy at recent Bicheno weekend. A great May Day – a hall full of bubbly, laughing, chatting, crafting folk. Big thank you to Wilma; it was a great idea to make a dye day, and her dyeing certainly sparked a lot of interest, I heard several people say they were off home to experiment. And that’s what it is all about, nothing is wrong, everything is a fun learning curve. There were several different dyeing methods – whole balls of yarn dyed in different colours by different aspects, skeins painted and wrapped in cling film and steamed, skeins looped around different wells in a salad tray, fibre in mesh bags steeped in simmering stove top dye pots, and a habitué silk scarf pole-wrapped and dye dipped. Away from the dye pots other people were spinning wool, alpaca, qiviut or flax, knitting, embroidering, quilting, eating, chatting, crocheting (and learning to crochet), teaching spinning, bartering or buying plants, swapping knowledge, whittling wood into beautiful objects, learning to weave – and probably more that I didn’t see. Gail and Helen had just returned from a Quilting Cruise to New Zealand, perhaps next month they will share some of their experiences, even some photos?????? What a fabulous idea. Was it one of those Craft Cruises, or one of these? By the by, want a fun read – see this. Yarn being dyed in the ball. The group gathering in May 2014. Megan’s skein – love your work! Qiviut – such a dream fibre. Felted necklace, I presume by Pauline. Wooden needle – perfect to accompany my loom work, thank you Jess. Pole wrapped scarf – detail showing the charcoal dye resisted to let some of the previous blue and watermelon shine through. Embroidery detail of a much larger piece, by Pauline. Wilma sets her yarn balls in place. yarn balls dyed and ready to re-skein. Dye being poured into the different wells. Suri alpaca skeins taking up their dye. Suri alpaca skein painted, cling wrapped and steamed. Skeins drying with the beautiful Huon river flowing by in the background. One of the suri alpaca salad tray skeins. Three skeins of suri alpaca – one painted and steamed, 2 steeped cold in the salad tray. One delightful tangle dyed in the ball and being re-skeined to dry. Flax spun by Margaret, ready to be scoured clean.